The 1TB hard disk drives are suitable for desktop, laptop and server computers. Whether you are building a machine from scratch or simply looking to upgrade existing storage, the 1TB SATA internal HDD can help you a great deal. Usually, due to their upsized storage space, they are sufficient for routine tasks. But for enthusiasts, using a couple of 1TB SAS hard drives together will serve the same purpose. The 1TB HDDs are available as both internal and external drives and provide impressive data retrieval speeds. 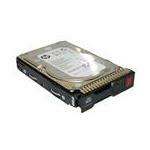 These 1TB HDDs are quite popular and are therefore available in SATA and SAS interfaces. In SAS interface, they run at speeds ranging between 5Gbps and 12Gbps. For SATA, the speeds are between 3Gbps and 6Gbps. Some of the known manufacturers of 1TB HDD storage include EMC, Fujitsu, HP, IBM, Toshiba and a few others. Buy these 1TB Storage drives from Memory4less to avail free shipping.